As a homeowner, you are free to customize and improve aspects of your home at your whim. You can pull out all the old windows, install beautiful new window models, and be done with the job. New windows are more than aesthetic appeal. You must also consider security, safety, and energy efficiency. As a result, double-hung windows are a popular choice because they meet these needs and then some. First, let’s discuss what a double-hung window actually is. With a double-hung window, the sashes in the window frame move either up or down. With a single-hung window, only the bottom sash is capable of moving to allow in air flow. The top sash remains fixed in place. A single-hung window does offer its own benefits: its unique shape allows for both aesthetic and increased security. With a double-hung window, you’ll enjoy even more air flow through both openings – top and bottom – while ensuring easy cleanup at the same time. Now that you have a better understanding of double-hung windows, let’s explore the benefits offered by these window systems. Cleaning – Many modern double-hung windows are designed for easy cleaning. Both of the sashes tilt inward, allowing you to clean the exterior of the window from the comfort of your home. There’s no need to climb up dangerous ladders to wash the windows. 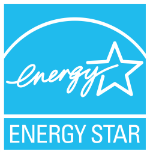 Energy Efficiency – When it comes to energy efficiency, double-hung windows reduce heating and cooling costs by preventing heat loss or heat transfer year-round. Furthermore, the window style allows for improved air filtration in the home. Cooling – If you want to install a temporary air conditioning system in the window of your living room, a double-hung window is ideal. You can push the bottom sash upward and out of the way to make room for the window-mounted unit. Airflow – Because both window sashes open freely, you can put a screen on the exterior to prevent bugs or plant matter from entering while still enjoying cool, refreshing air. Versatility – When it comes to double-hung windows, your choices are extensive in terms of style and material. Most double-hung windows come in a variety of sizes, colors, materials, and styles to make customization a breeze. You can select from wood, architectural grade, vinyl-clad, and fiberglass. You can then match the color with the exterior of your home or the interior paint for improved aesthetic purposes. As you can see, there are many benefits to installing new double-hung windows in your home. If you’re looking to replace old, energy deficient windows, perhaps explore double-hung. You’re sure to find a style and material that catches your eye. For expert window installation, contact Starwood Distributors. We work with homeowners each day who are looking for the best windows possible. 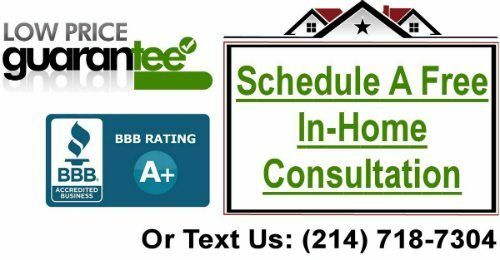 Give us a call at 214-718-7304!